Chewbacca of the planet Kashyyyk meets midfield beast Marouane Fellaini of Belgium. Euro Copa hosted in France starts June 10th. 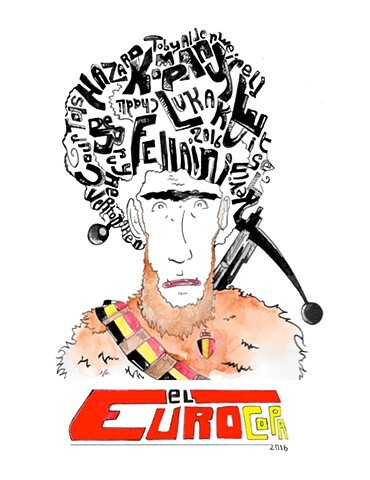 Other possible starters for Belgium adorn this stylized rendition of Fellaini's iconic hairstyle.